If you’ve been a Christian for any length of time you’ve probably heard of the word “tithe”. 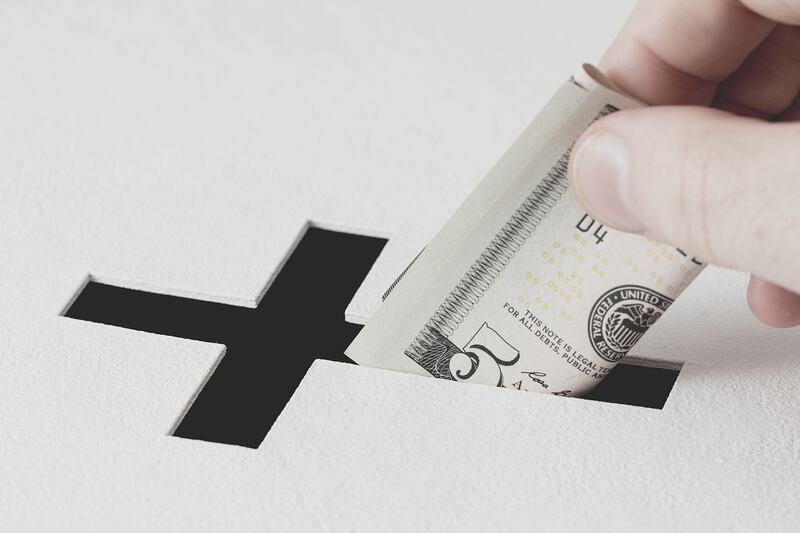 The modern church-culture idea of a tithe is giving 10% of your income to your local church. Some churches encourage it, some demand it, most say the Bible teaches it. But any Bible scholar who has a decent familiarity with the Old and New Testaments cannot possibly argue that tithing is still required. Let’s explore the scriptures to see how tithing is not for Christians, and how it’s not even money. The idea of a tithe comes from the Old Testament which means “a tenth”. Tithing filled a very specific purpose: taking care of the Levites who were in charge of the Israelite’s Temple. Out of all twelve of the tribes of Israel, the Levites were different from the other eleven (Joshua 13:33). All the other tribes were given a land inheritance where they could own land and cultivate it for food. Not the Levites though, because the Lord, the God of Israel Himself is their inheritance (Deuteronomy 18:2). Instead of working the land they had the special responsibility of working at the Temple. They were either priests or carried out other Temple duties. Because they had no means to grow their own plants or raise their own animals, God instructed the other eleven tribes to tithe every tenth of their food to the Levites. A tithe of everything from the land, whether grain from the soil or fruit from the trees, belongs to the Lord; it is holy to the Lord. Every tithe of the herd and flock—every tenth animal that passes under the shepherd’s rod—will be holy to the Lord. If a shepherd only had nine animals they wouldn’t pay a tithe, likewise if they had 19 animals they would only tithe one animal. Right away you can notice that a tithe was not money. A tithe was food. This makes sense since the Levites could not grow or raise any food for themselves. Since all other eleven tribes supplied one tenth of their food to the Levites, it gave them enough to survive off of. The tithe was for the Levites, it wasn’t for teachers or Rabbis. While the idea of a tithe is clearly an Old Testament requirement under the old covenant law, when Jesus is talking to the Pharisees (a sect of Jews) he mentions a tithe. Two things are of note. One, Jesus is talking to Jews still under the law during a time when the Temple still existed and was being used. Two, no money is mentioned as being a tithe, Jesus only mentions plants used for food. The only items mentioned in the New Testament for a tithe are items from a garden. 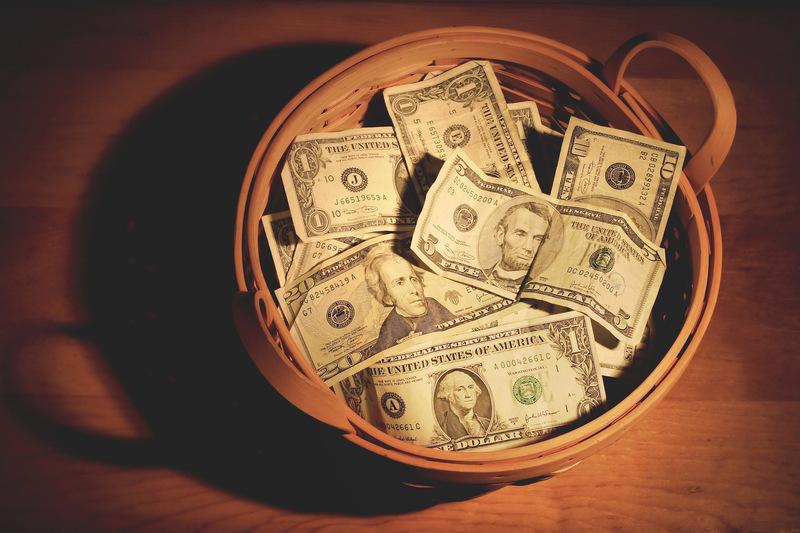 So, if we really want to be Biblical when a church leader asks for a tithe, we can give them a salad. Scripture is clear, a tithe is meant to be food to eat. Some argue that the tithe in the Old Testament law was only food because at the time they didn’t have money. This simply isn’t the case. There are many mentions of money even going back as far as Genesis ( 42:25 ). Interestingly, there is a case in scripture where money is involved with a tithe. You must set aside a tithe of your crops—one-tenth of all the crops you harvest each year. Bring this tithe to the designated place of worship—the place the Lord your God chooses for his name to be honored—and eat it there in his presence. This applies to your tithes of grain, new wine, olive oil, and the firstborn males of your flocks and herds. Doing this will teach you always to fear the Lord your God. Now when the Lord your God blesses you with a good harvest, the place of worship he chooses for his name to be honored might be too far for you to bring the tithe. If so, you may sell the tithe portion of your crops and herds, put the money in a pouch, and go to the place the Lord your God has chosen. When you arrive, you may use the money to buy any kind of food you want—cattle, sheep, goats, wine, or other alcoholic drink. Then feast there in the presence of the Lord your God and celebrate with your household. Once again you’ll see that a tithe is food, but here the Israelites are instructed to convert the food to money if the journey is too far or if their tithe is too large to take with them. Notice also something very important: this tithe was intended for them to eat and enjoy as part of celebrating one of the Jewish festivals such as Passover or Pentecost. Every three years the tithe was to be given to the Levitical priesthood but the other two years it was to be eaten as a celebration (Deuteronomy 14:28-29; 26:12-14). That means that the tithe only went to the temple every third year (not every week). The Israelites had a money system, they had professions other than farmers and shepherds, but a tithe was always food. What about the Temple tax, wasn’t that a tithe of money? Each one who crosses over to those already counted is to give a half shekel. This half shekel is an offering to the Lord. The rich are not to give more than a half shekel and the poor are not to give less when you make the offering to the Lord to atone for your lives. The Temple tax was a flat rate tax given at the time of a census. Rich people were not to give more than the flat rate (of a half shekel) and poor people were to not give less. The Temple and the Temple system have already been done away with. While sometimes confused with a tithe, the Temple tax was not a percent and also was abolished with the death and resurrection of Jesus. A favorite of tithe proponents is Malachi 3:10 which seems to say that those who test God with tithing will have abundant blessings poured out on them. Read in context though, this passage of scripture, like all those regarding tithing, has nothing to do with money. In a stern rebuke, God addresses the Israelites who had turned to worshiping demonic idols. Here we read of a threat which is spoken by a very angry God who was being ripped off by His rebellious people. In the Old Testament, blessings and curses largely related to whether or not the law was being kept. Here we see again that a tithe is food meant to be kept in the Temple storehouses for the Levites, the poor, the strangers, and the widows (Malachi 3:5). Because Israel was withholding her tithes, she was guilty of ignoring the needs of these three groups. God opposes oppression of the poor. The blessing referred to in this passage is rainfall, which in turn will produce more crops. Deuteronomy 28:12 says that God keeps rain in his “rich treasury in heavens” which provides blessings. God here is saying that he will “open the floodgates of heaven and pour out” the rain, overturning the drought and poor harvests that Haggai reports ( 1:6 ; 2:16 , 19 ). It is a disservice to misinterpret this passage to mean that giving money to a church will yield blessings. This verse has a specific meaning, meant for a specific people, during a specific time. Food was to be given to the Levites, thus the law would be kept, and God could bless his people with more crops. This verse is not instructing North American Evangelical Christians to test God by tithing 10% of their income to their local church. There is no promise here to New Covenant believers. Under the New Covenant, God has thrown out the entire sacrificial system. There is no Temple and no need for tithing. There are 613 laws that were required of Hebrews under the Old Covenant: why, one might wonder, do pastors hit on this one as the one that should be carried over? An equal argument could be made for another Old Covenant law such as not wearing cotton and wool together. If the tithe is not for Christians, does this mean that we aren’t required to give money to church? Exactly, we’re not bound by the law. While there is freedom in Christ, we also strive to be like him by being generous (Luke 21:1-4; Acts 20:32-35; 2 Corinthians 8:12-15; Galatians 6:2; 1 John 3:16-18; 1 Timothy 6:17-19). This means a change of heart. We don’t give out of compulsion or requirement. We give because we have the heart of Jesus, who blesses the evil and the good (Matthew 5:44-46). For Christians, the Holy Spirit and the heart guides our generosity, not laws or rules. Anytime a “tithe” is required, you can see from scripture that it is unbiblical. Jesus wants our hearts to be in-line with his, which often means we are generous with much more than just ten percent. When the New Testament talks about giving ( 2 Corinthians 8-10 ), it mentions giving “generously,” “outrageously,” “not under compulsion,” “joyfully” and “as God leads you.” But the New Testament never mentions a rule about a percentage one is required to give. In fact, such a law violates the spirit of the New Testament’s teaching on giving. When we look at how the early church responded to the teachings of Jesus we see radical generosity that exceeds the spirit of the law. Acts 2:45 says that they gave to anyone who had need by selling their belongings. We don’t see this as being a requirement though, and since the modern idea of a “church” didn’t exist yet, no money was given to them. Giving in the early church was voluntary. And those who benefited from it were the poor, orphans, widows, sick, prisoners, and strangers. This isn’t to say that money shouldn’t be given to teachers or pastors of the Gospel. In 1 Corinthians 9:6-14 , Paul appeals to the template God set in the Levitical priesthood to say that “those who preach the gospel should receive their living from the gospel.” If there is a ministry that is helping you grow in your discipleship to Jesus and you feel the Holy Spirit leading you, be generous and contribute! Since community is such an important part of Christian living, contributing to your local church community is often how most are led to give. God wants you to understand that everything you have (including all of your money) is his property (Psalm 24:1). This means that if he tells you to give it all away tomorrow to some stranger on the street, he expects obedience. If he tells you to stockpile it in some savings account for being generous at a later date, then that’s what he wants you to do. Today God wants Christians to have a wide open mind about how he might direct their finances. He doesn’t want us trying to cling to a system which he threw out 2,000 years ago. Being generous with 10% should serve as a minimum benchmark for those willing to be disciples of Jesus Christ. If we are spending more than 90% of our income that can be a sign that our priorities aren’t healthy. Studies show that the average American Evangelical gives 2-3% of their income to their church or to charities. Given that our standard of living is four times higher than the global average, it’s hard to argue that we’re being “generous” and “outrageous” and “following God’s leading” in the way we’re stewarding our resources. There seems to be a problem with the priorities of many American Christians. But re-invoking and misusing an Old Testament law to coerce people to give a percentage of their income to a church is not the solution. Christians need to get a vision of the beautiful Kingdom they are called to advance that is more compelling to them than the security of money. We are not called to be a people that are shamed by a rule, but a people who are captivated by a vision.